The Humboldt County Planning Commission. 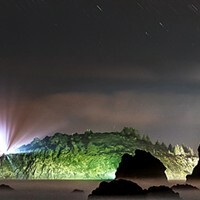 There are no two ways about it, Humboldt County is a unique place, says Kevin Hamblin. The county planning director is sitting in his office off H Street in Eureka on a recent afternoon, his window propped open a few inches to let in some fresh air and the sound of pouring rain. Many people move to this county, Hamblin explains, with no plan for being gainfully employed, and others stay here despite being chronically under-employed. "People like living here," he says. "That points to the fact that we should look at our physical surroundings and be very protective of them." But, Hamblin goes on, people also leave the county all the time, frustrated by a lack of opportunity. "If you look around, it's not the most prosperous county," he says, adding that economic growth is always a top priority for policy makers. "Often times, those two needs are seen as kind of contrary, or opposed to each other." There's the rub. The topic of the day is Humboldt County's perennially contentious General Plan Update, and Hamblin is explaining why it can be inherently divisive. This controversy has boiled over very publicly several times in the last six months, most recently with a series of planning commission votes in late February. Finally passing the update — 14 years in the making — will likely constitute an act of political courage from the supervisors. Almost nobody is happy with the current draft, which proponents say is reflective of just how much compromise was fostered in its creation, and any potential changes are almost sure to bring a public firestorm from one group or another looking to protect its interests. Dressed in a gray dress shirt and slacks, Hamblin pauses a moment when asked to explain in common language what the general plan is and why the average Humboldt County resident should care about it. The plan is the underlying foundation of planning policy and zoning ordinances in the county, Hamblin says. "The General Plan Update is just a plan of where you are going — a statement of goals for the community," Hamblin says. Like many others, he refers to it as a "community vision" for the future. Others are a bit more blunt. Ryan Emenaker, a political science professor at College of the Redwoods, says the update will have huge economic and political repercussions in the county for years. "Any decision where you're going to have winners and losers is inherently political," he says. "That's what politics is, in essence: choosing who gets what, when, where and how." The general plan update attempts to answer those questions for the next 20 years. 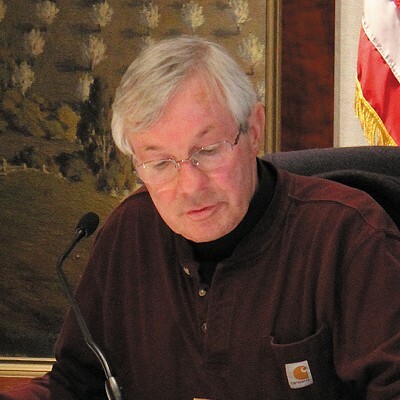 The Humboldt County Planning Commission voted unanimously on March 19, 2012 to send its draft of the General Plan Update on to the board of supervisors for review, closing a 12-year process seeking to overhaul an outdated document from 1984. The vote was a monumental step forward — a sign of progress in the process — but any momentum seems to have been slowed by a shift in the political makeup of the county's decision makers. 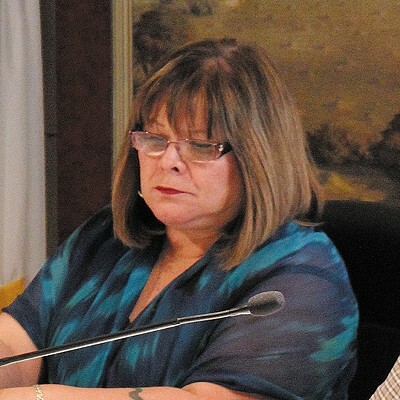 Whether that's good or bad is the subject of vigorous debate but, of the seven commissioners who voted that March day, only two remain, Susan Masten and David Edmonds, who together have less than six years of experience. The five remaining commissioners have all been appointed in the last 14 months, three of them after being very critical of the draft GPU and the process that created it. The turnover is largely the result of one of the biggest political reshufflings in recent Humboldt County memory. Running on campaigns that promised to improve the business climate in Humboldt County and that were backed by large donations from the real estate, development and construction industries, 4th District Supervisor Virginia Bass and 5th District Supervisor Ryan Sundberg won board seats in 2010. Running campaigns similarly speaking to the need for economic development and enjoying similar financial support, Rex Bohn and Estelle Fennell won seats in 2012, representing the county's 1st and 2nd districts, respectively. The general plan played an interesting role in both election cycles, with the challenging candidates generally lamenting that the plan had taken too long and pledging to push it to completion. And yet the GPU wasn't the focal point of any of the campaigns, not overtly anyway. But the plan update process did help turn the Humboldt Coalition for Property Rights (HumCPR), a private corporation founded by current Planning Commissioner Lee Ulansey, into a major political force. The coalition — which Ulansey launched after the county put a temporary moratorium on building permits for timber production zoned properties — boasts more than 4,000 members and became a central player in the GPU process, constantly lobbying for private property rights and less regulation. The group also became a key force in local campaigns, with members of its leadership backing all winning supervisors in 2010 and 2012 with the exception of 3rd District Supervisor Mark Lovelace, who fended off Karen Brooks to retain his board seat in 2012 despite the donations and endorsements Brooks received from some of HumCPR members. Over the last 14 months, the new board of supervisors has steadily reshaped the planning commission in its own image. Shortly after taking office, Fennell — a HumCPR member supported candidate who also served as the group's executive director for two years — appointed former HumCPR treasurer Robert Morris to the commission. 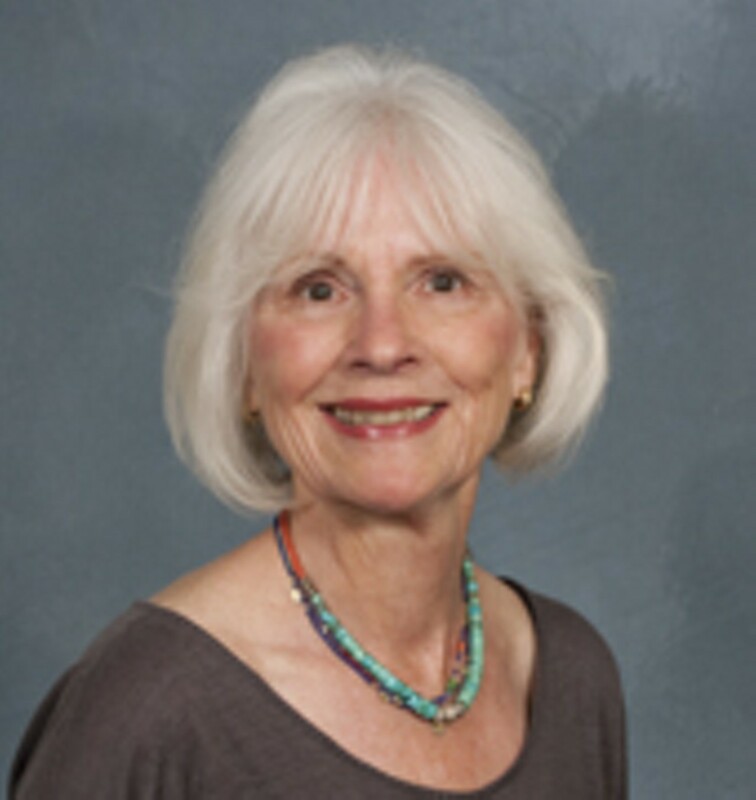 Last year, the board voted to appoint Ulansey to fill a vacant at-large seat. Bass just appointed Eureka contractor and developer Kevin McKenny to the board last month. 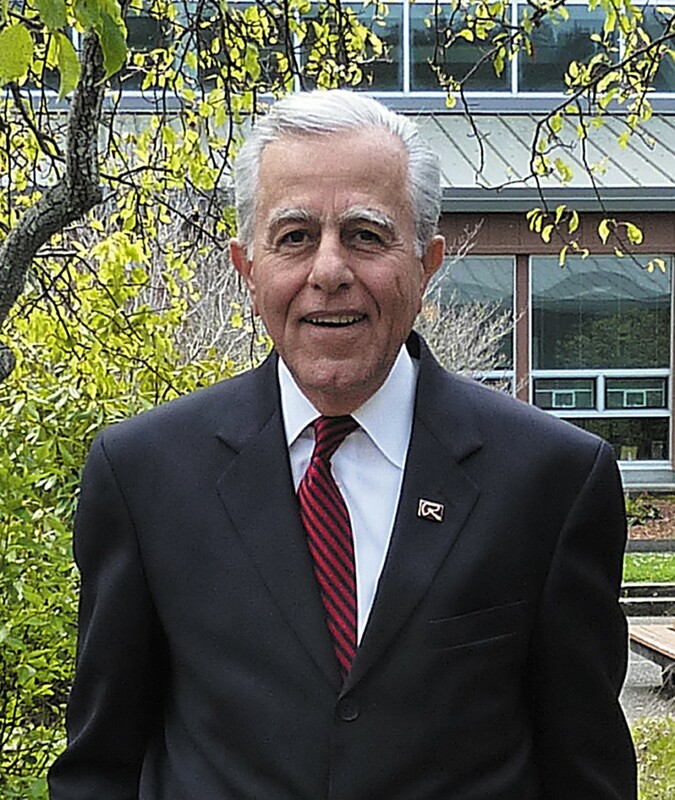 Shortly after taking office, Bohn replaced incumbent commissioner Denver Nelson — a retired neurosurgeon with experience in the logging, environmental, dairy and ranching communities — with Alan Bongio, owner of a local contracting company. In an interview with the Times-Standard at the time, Bohn reasoned: "We've gone almost 20 years without someone who pounded nails [on the commission]." None of this should really be too surprising, says Emenaker, the political science professor at College of the Redwoods. After all, he explains, the by-appointment nature of the planning commission almost assures it's going to be reflective of the board. While the hope for these appointments is that supervisors will select the most competent and able person for the position, he says that is obviously open to interpretation. "The people you view as competent, or intelligent, are filtered through the lens through which you see the world," he explains, drawing a parallel to the process of appointing federal judges. "They're going to be reflective of your views." Some have questioned the role of money in the process, especially when it comes to Ulansey's appointment. In 2010 and 2012, Ulansey personally donated at least $1,000 to the campaigns of Bass, Sundberg and Fennell. (He and his wife have also donated more than $3,500 to Bass and Sundberg's current re-election campaigns.) There's nothing in state law prohibiting supervisors from appointing a campaign donor to an important board or commission, or keeping a commissioner from donating to one of his boss' campaigns, according to John St. Croix, executive director of the San Francisco Ethics Commission. "There's no prohibition," he says. "But, obviously, that's why we have public filing of campaign contributions so the public is aware that those connections exist." Folks looking closely at this year's filings will see some other connections as well, namely that Bass and Sundberg share support from similar sectors in their bids for re-election. Both are receiving donations from a handful of known HumCPR members (the bulk of the group's membership list is not public). They are also heavily supported by people and entities in the construction, development and real estate industries. According to forms filed with the Humboldt County Elections Office, 35 percent of the $39,076 Bass raised between July and December came from such donors, while those industries accounted for a whopping 70 percent of the $30,693 Sundberg raised in the filing period. While many are fond of claiming that political donations buy influence, Emenaker isn't convinced. "The question often is what direction does the causality arrow go: Is it, 'I want to change that person's opinion so I'm going to give them money,' or is it, 'That person believes in the same things I do, so I'm going to give them money.'" In reality, Emenaker said he thinks the only thing campaign donations buy is increased access, noting that an official would likely be more giving of his or her time to a big-time supporter than an average constituent. 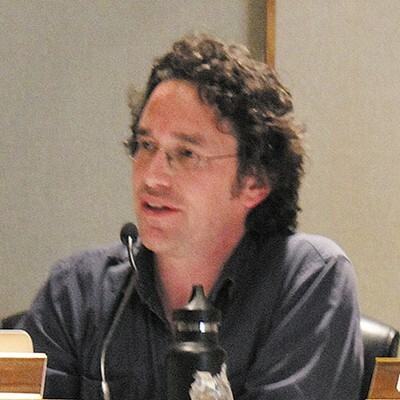 Brady sent Bass an e-mail a couple of days after the vote under the subject line "reminder of the imagine Humboldt visioning," referencing a series of community workshops that asked residents to envision Humboldt County in 2050. Brady cut and pasted some of the process' survey results into the e-mail, noting that many people moved to Humboldt County because of its natural beauty and rural lifestyle but said finding quality jobs was viewed as the region's greatest challenge. The results contained the following highlighted passage: "Fifty-one percent of the people answering the online survey thought the quality of life in Humboldt County would be worse in 2050 than it is today." Brady wrote, "Sounds like this scenario got lost in the guiding principles. Enlighten me if you see it differently." The e-mail seemed to touch a chord with Bass, who wrote back that she resented Brady's sending it. She charged that Brady was letting a few unnamed individuals be the "sole source of information" she was taking in and processing, and that she was "sadly giving up (her) governance ability to others." Bass then included a pertinent line: "Financial supporters are wonderful and necessary but sometimes they don't realize that what they gain by their support is access, an open ear and open communication," Bass wrote. 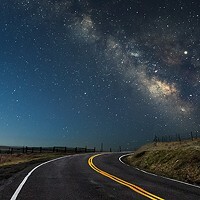 "It doesn't mean that someone gives up their soul and promises to do everything they want. I am not that person nor will I ever be." But frustration and concern continued in some circles over the board's guiding principles revisions. On Oct. 1, Bass received a text message from Randy Gans, vice president of Security National, expressing concern about the Sept. 23 vote and asking to get together for coffee. "... it's about the guiding principles," Gans wrote. "They set the tone for land use policies. One wrong word here and one comma there and we will have a new version of the coastal act to live by in Humboldt County. I am very worried that is where we are heading." A couple of days later, Bass texted back, asking if she could skip the coffee meeting. "If it helps to know, I've spent the last several days talking to about 16 people most of them I'm sure you know including Lee et cetera who probably are talking about the same concerns. I happen to agree on item 4 ..." Bass wrote back. About a week later, the board voted 4-1, with Lovelace dissenting, to again lop off the "restrictive language" discouraging the conversion of resource land and open spaces. The vast majority of e-mails the supervisors received from the general public on the issue had been in support of the Sept. 23 revisions. The exchanges seem to underscore all that's perceived to be at stake in the General Plan Update process: a rural quality of life, the environment, the local economy, profit and regulation. They also hint at the pressures applied to those tasked with making the big decisions. Michael Shires has watched more than a few general plan updates unfold and says it's never an easy process. An associate professor in Pepperdine University's School of Public Policy, Shires holds three advanced degrees, including an MBA in economics from the University of California at Los Angeles and a PhD in public policy analysis from the RAND graduate school. He also wrote a paper on the development of California counties as municipal governments. "Planning is one of the hardest political processes because it asks the community to look into the future and decide what it wants to be," he says. "That's a hard thing to do." California law requires that each of its 58 counties have a general plan and update it periodically — usually every 10 to 20 years, or so. The plan essentially translates a community vision into objectives, goals, policies and programs that will dictate the physical development of the county decades into the future. All plans must contain seven mandatory elements that outline the county's plans for dealing with land use, transportation, housing, conservation, open spaces, noise pollution and disaster preparedness. They can also contain a host of optional elements, touching on everything from historic preservation and recreation to economic development and agriculture. 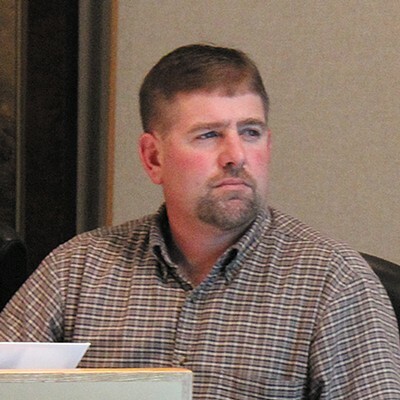 After a county updates its general plan, it then must go through all its zoning ordinances — where the plan's rubber meets the road — to ensure they are consistent, and all major development projects looking for county approval will be similarly evaluated for their consistency with the overarching document. The Institute for Local Government, a nonprofit that works to promote good government in partnership with the League of California Cities and the California State Association of Counties, says a well-defined general plan is the "starting point for fairness and predictability" in land use decisions. The job of updating a general plan is often drawn out and tedious. "It's a relatively slow process," Shires says. "General plans tend to be very inclusive to give everyone a voice, which takes time." That slow and detailed work can get bogged down even more, Shires says, when there is turnover in county staff or the governing bodies overseeing the update. A recession, Shires says, can also slow things to a crawl. All of that has been true of Humboldt County's update, which began in 2000 and has long faced criticism for being unwieldy, unresponsive and just plain slow. Humboldt last updated its general plan in 1984, and that was somewhat of a patchwork job, updating the plan that had been in place since the 1960s. Mary Gearheart got an up-close look at the 1984 plan as a member of the Arcata Planning Commission, on which she worked with developers and environmentalists to try to interpret the county plan and its goals. "I just thought it was a mess," she says, adding that if you looked at county planners' copies of the 1984 GPU you would see their notes penciled in the margins, offering varying interpretations of what the plan meant. "It just had so many Band-Aids," she says. 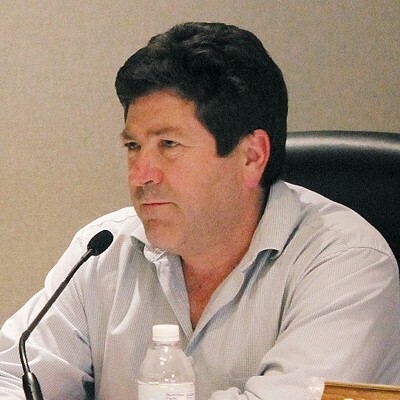 Gearheart joined the Humboldt County Planning Commission in 1995 and was there for a series of long community forums throughout the county to gather input on the update in the early 2000s. Initially, Gearheart says, the county was supposed to hire an outside consultant to put together the update, which ambitiously sought to overhaul the 1984 document. But, she says, the county ended up dropping the consultant and the GPU landed in the hands of the planning commission. Gearheart and her fellow commissioners would go on to spend the next decade working on it, holding more than 100 hearings and receiving literally thousands of comments from the public. The process was slow, and many in the public lost interest. Looking back, Gearheart says she wishes things could have moved faster. But, she says, the commission was limited by an understaffed planning department and the need to gather loads of public input from all reaches of the county. Part of the problem, she says, was that it took so long to gather public input and then incorporate it into a draft element, that by the time the commission put something on paper, members of the public had forgotten their involvement from years earlier. There were also some people from all political sides, Gearheart says, that didn't — and still don't — seem to understand the level of compromise necessary in coming up with a community vision. "I think they're misinterpreting being listened to and being agreed with," she says. The final product, Emad says, left nobody claiming victory. "Nobody was happy with that document, which means there was a lot of compromise and a lot of good stuff in there," he says. "I would say, by and large, we presented a pretty good document to the board. Now, could that document have been further reviewed and massaged and improved upon? I have no doubt. There is no such thing as a perfect document." Gearheart agrees that the draft update the commission forwarded on to the supervisors reflected good compromise, and though she doubts anybody was happy with it, it was "as good a piece of work as a mixed group of people could sign off on." She resigned her commissioner's post a month after voting to turn the draft update over to the supervisors. The 17-year commissioner says she knew at the time of her resignation that the GPU might still have a long road ahead of it, noting the new faces around her on commission and the board of supervisors. Of the five-member board, none had been in office for even half the GPU process. 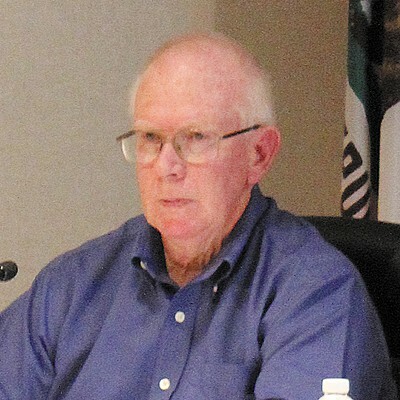 Lovelace all of a sudden became the board's elder statesman, having been elected in 2008. Bass and Sundberg took office in 2010, followed by Bohn and Fennell in 2012. "I knew it was suddenly going to be an uphill battle to get anything accomplished," Gearheart says, noting that her apprehension had nothing to do with politics and everything to do with experience. "I used to say I wanted to get a new general plan while I was on the planning commission. Then, it was while I was alive. And now, I just don't say any of those things anymore." Every once in a while, Gearheart cozies up in front of the television to watch the planning commission work. Generally, she finds it a fascinating spectacle when they are discussing a project or a zoning change, pouring through evidence and reports and gathering input. 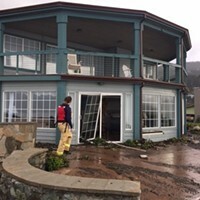 But when the supervisors handed the GPU's Open Space and Conservation element back to the commission — at the request of the commission, the Humboldt Builders Exchange and the Humboldt Association of Realtors — Gearheart says she had to stop watching. "It's pretty painful," she says of watching the current commission revise and change the work she and her fellow commissioners culled from years of public input. "I like progress. This was kind of going backwards." Gearheart says she sees two overarching problems plaguing the commission: a lack of training and experience, and an overt political bent. In her day, Gearheart says commissioners worked hard to check their political baggage at the door and find common ground. She doesn't see that happening today. "I do feel it's a more politicized body," she says. "More than it should be." But the larger issue might be the lack of experience and training. Emad recalled the wealth of knowledge his fellow commissioners brought with them into supervisors chambers, noting that many went through GPU processes on the city level before being appointed to the county position. Plus, he says, he, Smith and Gearheart had the benefit of starting the county GPU process from the beginning, being there for all that input and learning as the plan developed. Even then, he says, the learning curve was very steep. Sitting in his H Street office, Hamblin says commissioners don't undergo any formal training before assuming office. Once appointed, Hamblin says the commissioners meet with a planning staff member who goes over some basics — like not to weigh in on a subject until hearing all the evidence — and counsels them on the Brown Act, California's open government law. And, he adds, new commissioners are given a book on the role of the planning commission and how to be an effective commissioner. Every year or so, Hamblin says, commissioners are sent to a planning commission institute, where they take several days of courses on ethics, conflicts of interest, planning processes, best practices, the Brown Act and general plans. With the recent turnover, only two members of the current commission have attended one of these, according to Hamblin. The rest were given their book and a quick briefing and sent on their way. A handful of the current planning commissioners also have extensive local land holdings and business interests, yet most haven't received any in-depth training on how to balance those with planning decisions or even when they might have a conflict of interest requiring that they recuse themselves from a vote. E-mails received as a part of a Journal public records act request offer a glimpse into the learning curve of a new commissioner. Just weeks into the job, Noah Levy — a board member of the Environmental Protection Information Center appointed to the commission by Lovelace in late January — was called out by Ulansey at a Feb. 20 meeting after Ulansey seemed to take offense to comments Levy and Lovelace had posted to Facebook after the commission's Feb. 18 meeting. On Feb. 24, Levy emailed Ulansey demanding an apology and an explanation. In the first lines of his email, Levy writes he considered the note to be "a private, confidential e-mail" to Ulansey alone. "This exchange," Levy wrote, "is between you and me only." In his reply, Ulansey proved a bit less naïve about his status as a public official and what that means for correspondences discussing county business. "As you may or may not be aware, email correspondence sent or received by planning commissioners is unquestionably a public document and disclosable through a (California Public Records Act) request," Ulansey wrote, adding that his emails are frequently the subject of such requests. "I will not have a written discussion of this type when I'm not confident that confidentiality can legally be maintained." Ulansey offered to meet Levy in person for a private conversation. From the outside looking in, Emad says he's concerned with the current planning commission, its makeup and lack of experience. "The learning curve is very steep, and if you have no training and you just have your own biases and your own political bents, then you get in there and you're just going to make hash out of it," he says. In a phone interview from Pepperdine, Shires says he isn't surprised to hear Humboldt's GPU is hitting some bumps in the road just as it was supposed to be entering its home stretch. "You have a group of people who want to keep things the way they are, and a group of people who want change," he says. "There are always conflicting interests in any public process. That is common in general plan updates — there's always going to be that contention." 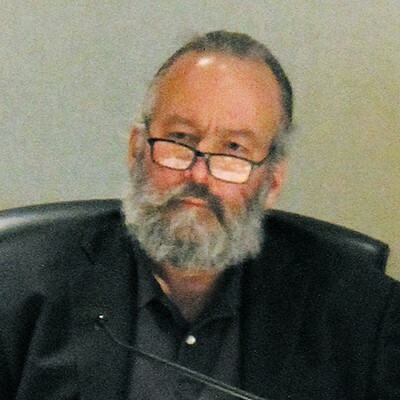 And, Shires says, usually just one seat changing on a planning commission or a board of supervisors can be enough to send a GPU process in a different direction. In Humboldt, nine of 12 combined seats on the board and the commission have turned over in the last four years. On March 10, after watching the planning commission wrestle with the GPU's Open Space and Conservation Element for 45 days only to make little progress, the supervisors unanimously agreed that sending the element back to the commission was a mistake. They agreed, essentially, to handle the GPU review themselves going forward. That likely came as music to Gearheart's ears. But the decision comes with political risk, especially for Sundberg and Bass, as the process has shown that just about every possible decision — whether it be to change some aspect of the plan or leave it as is — is destined to upset some. It will also put the supervisors' knowledge and understanding of the very complicated GPU on full display. "I'm sympathetic," Gearheart says, "but I think they just have to buckle down and take a stand. My hope is that the board will step up and do their job, because that's what it's going to take." But the planning commission will get another crack at the document. Hamblin says that, after approval by the board, the GPU will head back to the commission to be reviewed for consistency. Looking for signs of optimism that the board and commission can bring this process to a close, one could point to a pair of email exchanges in recent weeks that hint at people attempting to find the common ground and forge the relationships necessary for compromise. After Lovelace appointed Levy to the commission, EPIC Executive Director Gary Graham Hughes emailed Ulansey, taking issue with a Jan. 30 Lost Coast Outpost report by Ryan Burns — formerly of the Journal — dubbing EPIC as the "arch-nemesis" of HumCPR. "I want you to know that there is no one on the EPIC team that really perceives of HumCPR as the 'arch-nemesis' of EPIC regardless of how some media voices might want to portray things ... we really think this could be a great opportunity to get some good work done!" Graham Hughes wrote, adding that he hoped he and Ulansey could get together "again" later in the month. Ulansey responded with a friendly email telling Graham Hughes not to be concerned about anything written by Burns, dubbing him a "partisan political propagandist." "Frankly, despite the similarities to his drivel I am far more concerned about what I might step in while walking my dog," Ulansey wrote back. "Be assured that I value the positive relationship that we have established." The second exchange came after Ulansey called Levy out publicly at the Feb. 20 commission meeting, when Levy wrote demanding an apology. It ended with the two commissioners politely saying they looked forward to sitting down and having a discussion. And so the GPU dance goes on. The stakes are high and, if the 30 people who passionately addressed the supervisors March 10 are any indication, the public is once again engaged in the process. Whether that public participation will continue remains a question that could influence the ultimate shape the GPU takes. Shires says these processes usually start with an engaged public, excited to weigh in on a county's future, but that engagement wanes as the process plods forward over a number of years, leaving those with a vested interest — developers, environmental groups and other advocates — fighting over the details. "It sort of becomes political negotiation by attrition, so to speak," he says.